Referees: Wildner, Lucaciu, Khadkodei (all AUT). Venue: Raiffeisen Sport Park Graz (AUT). Scorers UBSC Raiffeisen Graz: Maresch 22, Nikolic 19, Turman 16, Tyus 12, Ernst 8, Richter 6, Moschik 2. Scorers BK ARMEX Decin: Jezek 19, Carlson 13, Zikla 13, Pomikalek 13, Siska 12, Grunt 8, Landa 6, Festr 5, Kroutil 2. Without Jonathan Hudson the UBSC-Team started pretty well in the game against the favorit from Decin. In a high-score-quater could the team of Graz compete with a very aggressive defense. Especially Anton Maresch could show his abilities. The leading position in this quater changed several times. Graz could surprise with plus 2. The second quater started with advantages for the czech team – especially Carlsson could perform on an impressive way. Until the last 3 minutes of first half no one team could create really big advantages. The last 3 minutes Decin was still certain from the 3-point-line – therefore they could reach a 9-point-lead after the second quater. 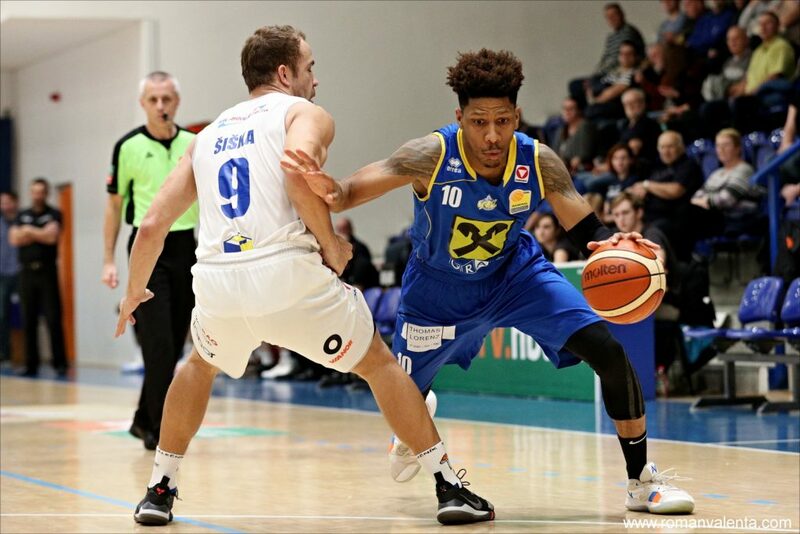 During the 3rd quater BK Decin could show more and more their perfomance in a high-percentage shooting – this was the base for 11 points plus after 30 minutes. The first minutes in the fourth didnot change the situation and BK Decin could perform to a 15-points-lead. But the UBSC-team didnot give up and fightet. Especially Anton Maresch and CJ Turman pushed the team to reduce the backlog to minus 6 until the end.